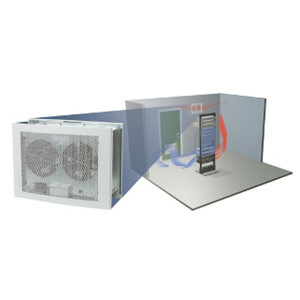 Free-cooling air cooled chillers leverages external air to remove the heat. 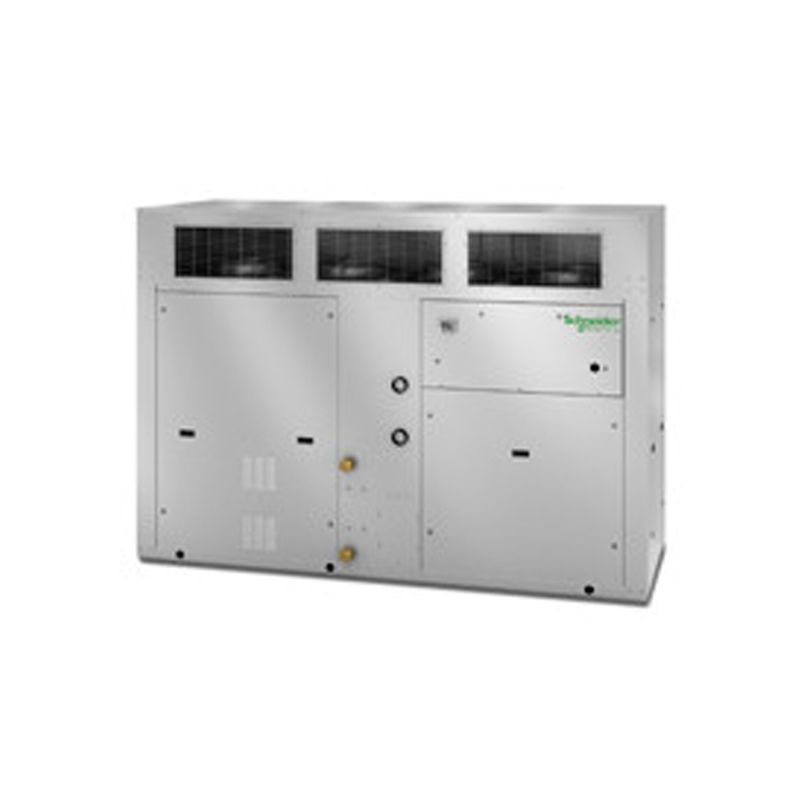 These chillers not only reduce energy consumption compared to traditional systems, and therefore contribute to reduce global warming. Aquaflair FC unit are featured with embedded free-cooling, without increasing product footprint or clearances. All of Schneider Electric’s Aquaflair Chillers offer low noise impact through the use of large air side heat exchangers, controlling fan rotation and insulated compressor section of the chiller. Our advanced controls system constantly monitors set points to guarantee the unit always operates within operating limits and will signal any faults before breakdown occurs. 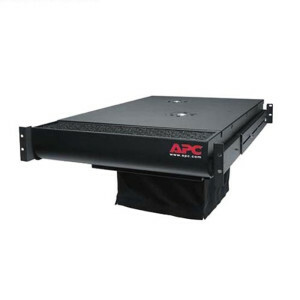 These chillers support a wide range of applications and maximize the availability of Row and Room cooling products to provide a complete heat removal solution.